Kathmandu: Nepal Prime Minister KP Sharma Oli on Tuesday said he had asked to Indian Prime Minister Narendra Modi about reviving Saarc. In his view the Bimstec could not be an alternative to the grouping of Bay of Bengal states. 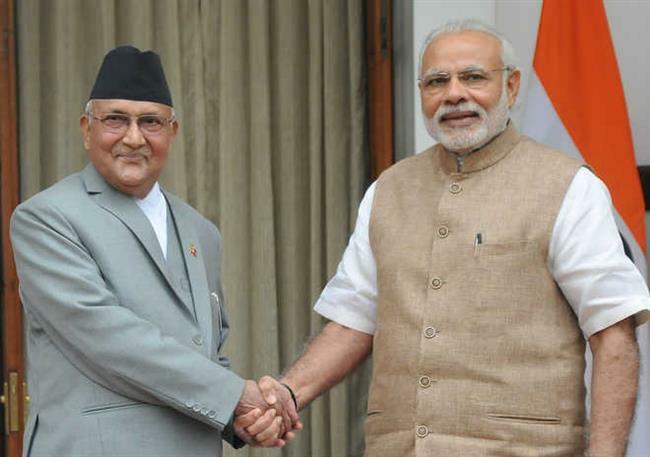 Nepal Prime Minister KP Oli said he discussed with Mr Modi about SAARC on the the Bay of Bengal Initiative for Multi-Sectoral Technical and Economic Cooperation (Bimstec) Summit in Kathmandu last week. Oli said he raised the issue with Modi on the margins of the Bay of Bengal Initiative for Multi-Sectoral Technical and Economic Cooperation (Bimstec) Summit in Kathmandu last week. The fourth Bimstec Summit in Kathmandu generated considerable speculation about the South Asian Association for Regional Cooperation (Saarc), whose fate has hung in the balance since 2016, when India decided to pull out of a summit to be hosted by Pakistan following a string of terror attacks. Since Saarc works by consensus, the summit could not be held. Since then, India has shown little interest in taking forward the Saarc process and indicated that the Saarc Summit in Pakistan cannot go ahead till Islamabad takes decisive action against terrorists operating from Pakistani soil.